Police departments rarely issue statements regarding photographs that have gone viral. Instead, they usually wait for social media users to state the obvious: It’s fake. However, one police department felt the need to release a statement on a photograph taken on December 29, 2017. After conducting an investigation, the Probolinggo Police Station stated on December 31st that the image seen in the photograph is not a jinn or a vampire but merely a song guide covering his face from surveillance cameras. There’s a lesson here. Rule out the obvious before claiming the extraordinary. Death bed portraitures were a Mexican tradition. These works of art predisposed postmortem photography. The “Angelitos” were dead children who were free of sin. Paintings of these deceased children, usually between the ages of 1-5, were posed to appear alive. The memorial portrait survived the child; it was the only visual memory remaining. Celebrated Mexican artist Frida Kahlo also painted “Angelitos,” death portraits of children. Painting death portraits seems fitting for Frida, as she suffered physically and mentally throughout her life. At the age of 6, Frida contracted polio, a horrible disease causing her to walk with a limb. Further, at the age of 19, Frida suffered permanent damage to her torso from a bus collision. This accident precluded her from having children. In addition to these physical maladies, Frida endured an open marriage to famed artist, Diego Rivera; political upheaval; and periodic confinement in her home “Casa Azul.” Frida was well aware of death—possibly her own impending death at the age of 47. Memento mori were paintings or photographs depicting dead people as if they were alive. The Merriam-Webster Dictionary defines “memento mori” as literally meaning “remember you must die.” Although these “Angelitos,” or Little Angels, paintings celebrated the life of a child by capturing his or her death, the tradition is not related “Day of the Dead.” It is merely another reminder of how life and death are celebrated in Mexico. The Mexican tradition goes back to the 16th century. It blends the Mexican tradition with Catholicism. Wealthy families would hire an artist to paint the dead children sleeping. It was popular; however, it was costly. Once photography became more widespread and cheaper, it replaced portraiture paintings. In 1937, 3 year old child Dimas Rosas became ill. His mother, Delfina, was the housekeeper for Diego and occasionally modeled for him. Diego was the child’s godfather. When Dimas’ condition worsened, Diego tried to persuade the mother and father to take him to a doctor. Instead, they took him to a village witch doctor. Unfortunately, he died. Frida posed the boy in clothing to honor St. Joseph. He is surrounded by flowers, especially marigolds which are a popular “Day of the Dead” bloom. A picture of Jesus Christ as “Lord of the Column” lays on the lace white pillow. He holds a gladiola while resting on a palm leaf mat. All of the things mean something—they represent religious and cultural iconography. A lot of thought went into this painting. Frida completed the 18 ¾ x 12” oil painting on Masonite, a favorite medium of hers. For some unknown reason, the painting was not given to the family. Instead, it was named “Dressed Up for Paradise” and exhibited in the Julien Levy Gallery in 1938. Next it went to the Art Museum of Philadelphia as “Boy King.” Then owner Somerset Maugham found out about the subject matter and gave it back to Frida. The painting was then given to Frida’s main benefactor, Eduardo Morillo Safa. He, in turn, gave it to Dolores Olmedo where it sits in the Dolores Olmedo Museum in Mexico City. Currently, it is on loan to the Dali Museum in St. Petersburg, Florida. It is unknown when the name changed; however, it is based on the inscription Frida left on the painting. While Victorian mourning photography is plentiful online and in private collections, these postmortem paintings are difficult to locate. If given the chance, head to The Dali. It is worth visiting and seeing this incredible piece of art. 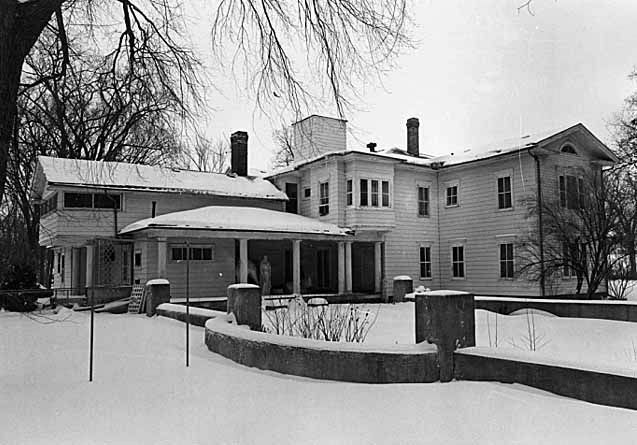 In 1976, Charles W. Nelson took a photograph from the rear of “Cedarhurst” for the Minnesota Historical Society. Thirty-eight years later, the image went viral on the Internet. Originally a farmhouse, the home was converted into a summer retreat in 1886. Mary Frances Harriman inherited the property from her grandfather, Charles Oramel Fanning (1800-1888). Celebrated architect Cass Gilbert expanded the retreat designing the mansion for Cordenio Arnold and Mary Frances Harriman Severance. He called the house “Cedarhurst.” Construction covered the years 1911-1917. In the end, the home totaled 12,000 square feet. The 26-room mansion was built in the Neoclassical Revival style and included twin classical columned porticoes, formal ball room, and rose garden. Severance was a corporate litigator who served as the 44th President of the American Bar Association. Severance and his wife hosted 4 presidents at “Cedarhurst.” This mansion was opulent. He and his wife lived in the home until 1925, when they died with no surviving heir. The mansion stood abandoned for many, many years. The house changed hands and fell into disarray. Located at 6940 Keats Avenue South, Cottage Grove, Minnesota, “Cedarhurst” was added to the National Registry of Historic Places on June 3, 1976. In 2001, the Thao family purchased the property for $900,000. Investing another $250,000, the family restored the massive home and now runs it as an entertainment venue. But the story continues. According to Examiner.Com writer John Albrecht, Jr. a member on Reddit posted this image this past Saturday, November 8th, claiming that a ghost is standing on the back patio (http://www.examiner.com/article/ghostly-figure-found-on-national-register-of-historic-places-photo). “Midwester” discovered the image while going through historic images (http://www.reddit.com/r/Ghosts/comments/2lmyvw/i_was_looking_through_photos_on_the_national/). Posters were polite and offered various explanations. Most felt it was a statue. However, one felt that it looked out-of-place. One was confused because the yard was overgrown and asked if the home was inhabited. 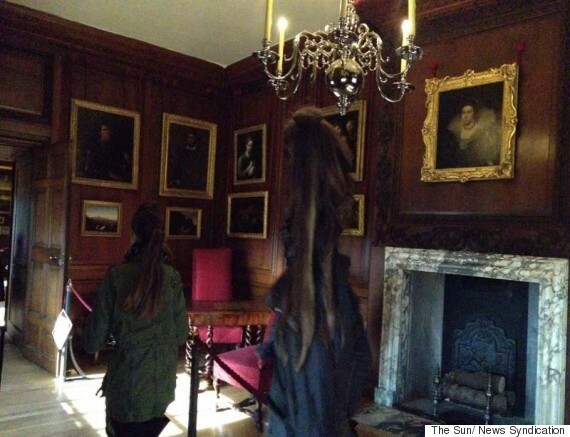 Although this is a great image of an aging mansion, the “figure” is not a ghost. The image is too solid and too consistent to be an apparition. Few have captured a full-length figure of an apparition. These are rare. Moreover, apparitions do not present whole or complete like the one here. This figure is too solid looking. Finally, the figure seems to be draped in a cloth. Let me provide some historical context. This home was an opulent mansion. It was built in a style that incorporated statues, draperies, and lots of ornate items. Presidents visited. This mansion oozed high society. Large statues may have stood beside the classical columned porticos. Since it is winter, the statues may have been relocated inside for preservation. By the time the photograph was taken, the home changed hands several times. It was deteriorating. The interior contents may have been packaged up. Finally, I cannot locate any stories proclaiming “Cedarhurst” as haunted. The Internet is quiet on this. Even “Midwester” conceded that this was the only image with the anomaly. Unfortunately, this image does not contain a ghost. The Booth Brothers’ new movie Dead Still focuses on the Victorian practice of taking mourning portraits. 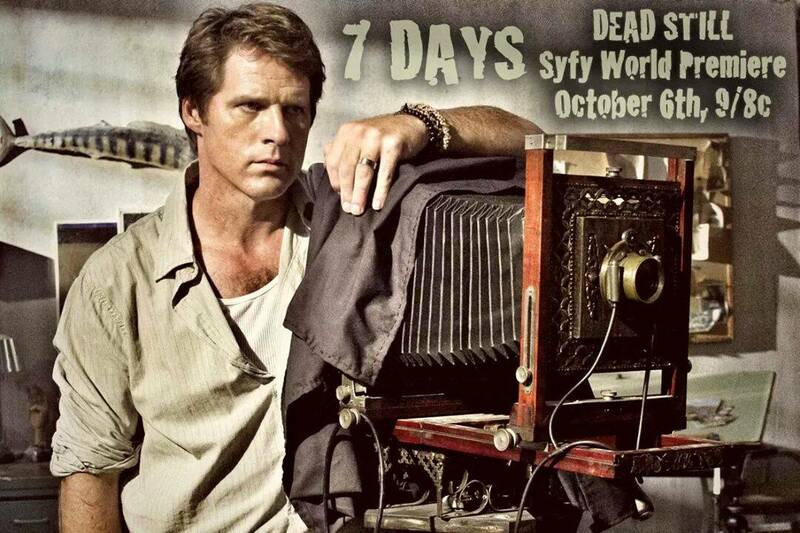 Main character Brandon Davis, played by Ben Browder, inherits the antique camera previously owned by his great-grandfather who took photographs of recently deceased people. Popular in America and Europe, postmortem photography were a form of memento mori. Translated as “remember thy death,” memento mori is artwork capturing death, either literally or figuratively. Drawing, carvings, paintings, and eventually photography depicted dead people or the personification of death through symbols. Death is unavoidable. By remembering we ultimately die, we live. Around 1840, wealthy families were able to hire photographers to capture the deaths of loved ones. Popular from 1840-1860, daguerreotypes provided developed images on thin sheets of silver-plated copper. Within the next two decades, advances in photographic development made personal photography affordable. By the 1860s, tintypes replaced daguerreotypes. Middle-class families were able to summon photographers to their homes to take mourning photographs. These pictures were often the only tangible reminders of their family members. These pictures were meant to be private and viewed only by the family. Photographers portrayed the dead person as if still alive. These “postures of life” incorporated symbols of death. Roses held downward, flowers with stems broken, morning glories, pocket watches, and children’s toys were some of the items staged with the dead person. The photographer took photos close-up or full-length capturing either the profile or full-face of the dead person. Often the eyes were closed; however, some photographers painted “eyes” on top of the eyelids. The viewer was directly confronted with the dead person. Later, large floral arrangements were used to lessen the impact. Children and infants comprised the bulk of the work because of high mortality rates. Most of the surviving postmortem photographs are of infants and children. The popularity of postmortem photography declined as morticians and funeral homes undertook more of the burial duties. However, small ethnic communities still partake in this practice. The Booth Brothers purchased an antique camera and decided to make it the focal point of their next film. The camera is a gorgeous prop—and still operational. The camera sits atop a beautifully crafted stand. In the movie, the camera is passed down through a family and eventually being used for wedding portraits. However, members of bridal parties start dying soon after their photography was taken. Ultimately, Brandon’s son becomes trapped inside the camera taken to an alternate dimension. This area is home to “The Negative” and “The Hidden Mother.” Set your DVR and TiVo to record Dead Still, Monday, October 6th at 9 pm EST. Then tune in to Archer Paranormal Radio as the API Gals discuss the movie and their favorite Booth Brothers’ productions. Statistically documentary films outperform other genres. Documentaries are low-budget, require few actors, and utilize a lot of public domain materials. Filmmakers can produce a quality documentary for little expense. 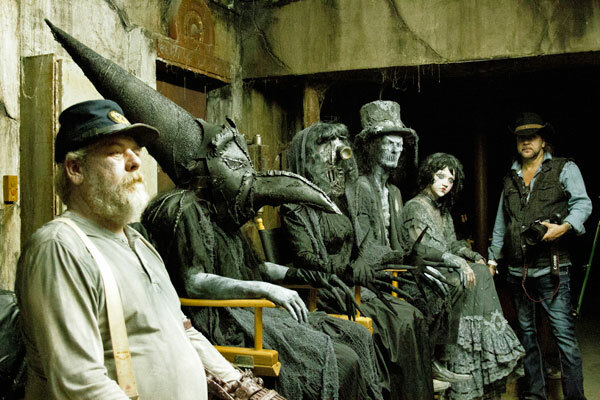 Comparing all genre films, horror movies come in a distant second. Consider the horror documentary. Gold mine potential! The Booth Brothers write, produce, and direct some of the best horror documentaries out there. The Booth Brothers have found their niche. Start with a popular haunted locale or famous possession case. Conduct extensive research. Combine newspaper articles, interviews, investigative footage, and re-enactments. Finalize by laying a music score. The end product is an educational and entertaining documentary. I especially enjoy the music. Haunting and unique to each production, the music score weaves the various pieces together. Perfection. The Booth Brothers now seek to tackle mainstream moviemaking. 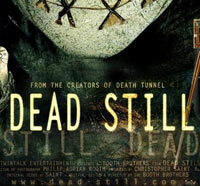 Dead Still, an original SyFy movie, premieres on October 6th at 9 pm EST. I can’t wait to see their transition from non-fiction material to fiction. 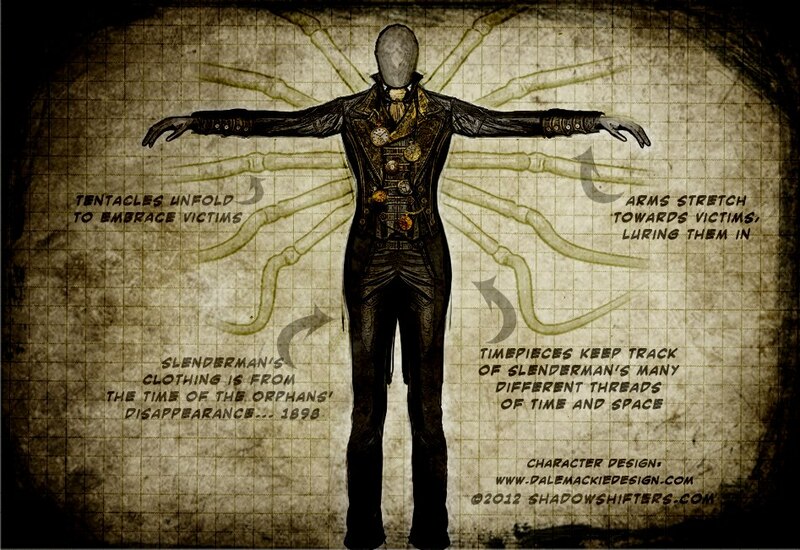 The story revolves around an antique Victorian camera previously used to take mourning portraits, or memento mori. Before cameras became affordable, photographers came to houses to photograph the recently deceased. The purpose was to provide the grieving family one image of their loved one. This practice has stopped, but the camera was passed down through a family. The camera’s new owner takes wedding portraits. He decides to use the old camera. Bad idea! Tune in to the SyFy Channel on October 6th at 9 pm EST to see how bad it gets. In the meantime, listen to Archer Paranormal Radio on Thursday, October 2nd as Christopher Saint Booth discusses the movie. The Archer Paranormal Investigation (API) Gals will be chatting with Christopher Saint Booth on Archer Paranormal Radio on October 2nd at 7 pm EST. 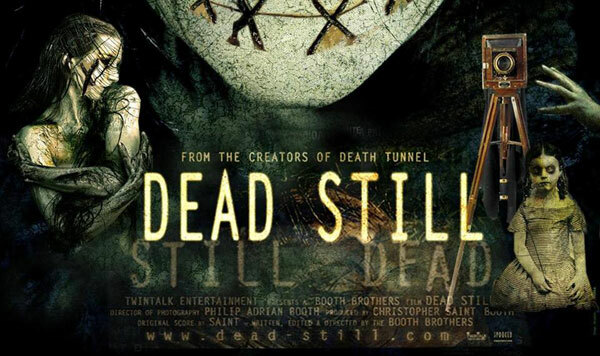 Tune in and find out about the new Booth Brothers’ film Dead Still, an original SyFy movie premiering on October 6th at 9 pm EST. Can you sense my excitement?? Oh YEAH!